VANCOUVER, BRITISH COLUMBIA - Sixteen-year-old starlet Rika Kihira blew away the competition with a stellar short program Thursday at the Grand Prix Final, posting the highest women’s score in the world since the judging system was revised ahead of the season. Kihira continued her exceptional Grand Prix debut campaign by rewriting her personal best by over 10 points with an impressive 82.51 for her short program routine at the Doug Mitchell Thunderbird Sports Centre. “I was able to perform very calmly. It was a good performance and I’m obviously really happy with my score,” Kihira said at a news conference afterward. Russia’s Alina Zagitova, last year’s Grand Prix Final winner and 2018 Pyeongchang Olympics gold medalist, trails Kihira in second with 77.93, while her compatriot Elizaveta Tuktamysheva (70.65) is a distant third narrowly ahead of Kaori Sakamoto (70.23). Satoko Miyahara is last in the six-woman field with 67.52. In her Grand Prix debut season, Kihira followed up her triumph in Hiroshima at the NHK Trophy with a win at the Internationaux de France in Grenoble last month. The women’s competition wraps up on Saturday with the free skate. 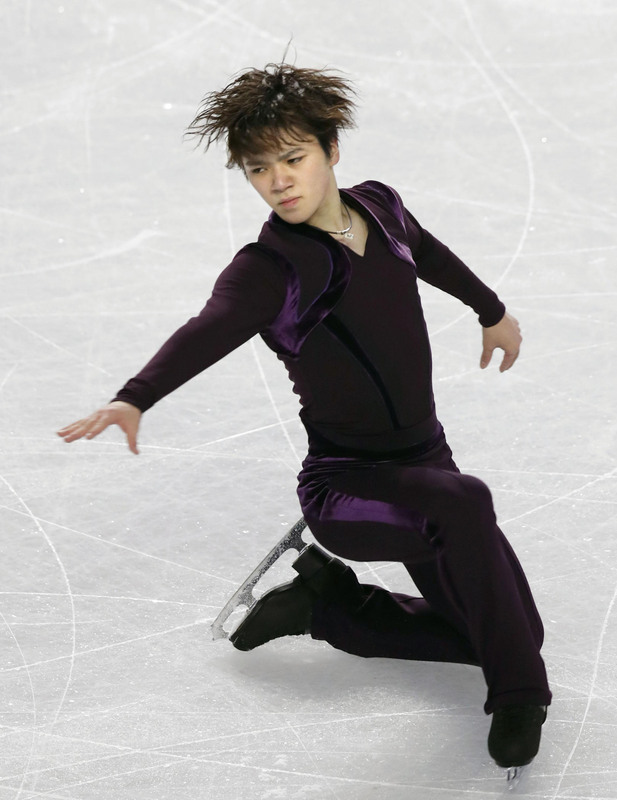 In the men’s short program earlier Thursday, Shoma Uno finished second and trails leader Nathan Chen of the United States. Uno scored 91.67 points for his short program routine, while Chen, last year’s Grand Prix winner and reigning world champion, opened with 92.99 to lead the six-man field. 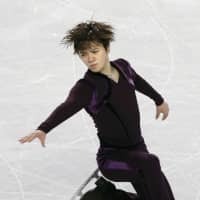 The 20-year-old, the only Japanese skater in the senior men’s competition after compatriot Yuzuru Hanyu decided to sit out due to a right ankle injury, under-rotated his opening quadruple jump but recovered with a triple axel to stay in contention. Czech Michal Brezina placed third with 89.21, just ahead of South Korean’s Cha Jun-hwan (89.07) in fourth. In Friday’s free skate Uno will attempt to avoid ending runner-up to Chen for the second straight year. He finished just 0.50 points behind the American at last year’s final in Nagoya. “I don’t want to finish disappointed this year,” said Uno, the silver medalist in Pyeongchang. Two-time Olympic champion Hanyu, who won the Grand Prix Final four consecutive times between the 2013-2014 and 2016-2017 seasons, sat out the concluding event for the second straight year. Uno, Hanyu and Chen topped the men’s events in this season’s Grand Prix circuit, with each winning both events they entered. Koshiro Shimada, who finished third at the Japan Junior Championships in Fukuoka last month, is in fourth place in the men’s competition at the Junior Grand Prix Final following the short program. Shimada, a 17-year-old from Matsuyama, Ehime Prefecture, earned a score of 73.97 on Thursday. American Camden Pulkinen is in the lead with 80.31. Pulkinen’s compatriot Tomoki Hiwatashi is in sixth place with 62.48. The free skate is set for Friday. Russia’s Alena Kostornaia (76.32) bested teammate and reigning world junior champion Alexandra Trusova (74.43) to grab the lead after the junior women’s short program. Alena Kanysheva (68.66), also from Russia, is in third place. “I feel this was the best I’ve ever skated. I did everything as I had planned. There is still room to grow, but for now I did the best I could have done,” the 15-year-old Kostornaia said. “That (being ahead of Trusova in the short program) happened before at the fourth event, but the short program is just half of the way,” she continued. The junior women’s free skate will be held on Saturday.